The LG V30+ is the addition in the LG’s V series but this time without any secondary display. 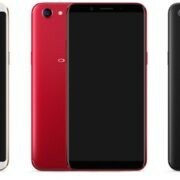 It is a low bezel smartphone with the P-OLED. In this faq article, we are going to answer some common questions of the user related to LG V30+. One more thing the LG V30 and LG V30+ (plus) are both same phones, the only difference is the storage capacity, reset of all features and hardware configurations are same. What is the Size of LGV30 Display? The display size of both LG V30 and V30 Plus is same 6.0 inches. Type of display used in the LG V30 and what about the resolution? To show the videos and images, it has a plastic P-OLED display with an aspect ratio of 18:9. This 6-inch display also features the High Dynamic Range 10 (HDR 10)/Dolby Vision and Always On mode. What about the display protection in LG V30+? The LG V30 features Corning Gorilla Glas 5 at both front and back side of the phone. Also, it features the US military standard i.e MIL-STD-810G compliant which it can survive easily in the extreme weather conditions. Does LG V30 support Dual SIM? The LG V30 is available in two version one is with single SIM and other offers Dual Nano Sim Hybrid card slot. The Europe, US, Canada, AT&T consumers will get the single Sim version while the users from HongKong, China, and India will get the Dual Nano Hybrid SIM tray version. Yes, it supports the 4G VoLTE and the LTE bands are: LTE band 2(1900), 3(1800), 4(1700/2100), 5(850), 7(2600), 8(900), 12(700), 13(700), 17(700), 20(800), 25(1900), 26(850), 41(2500). Amount of storage and RAM available on LG V30+? As we said the LG V30 comes in two version standard and the Plus. The LG V30+ comes with 4GB RAM and 128 GB of storage while on another hand the LG V30 offers 4GB RAM and 64 GB storage or ROM. Can we expand the inbuilt storage? Yes, you can expand the inbuilt storage of phone via microSD card Slot. Those using the single sim version of LG V30 will get the dedicated microSD card slot and users of dual-SIM version get the Hybrid slot (SIM slot 2 is for microSD card). Up to 256GB of memory can be expandable in LG V30. LG V30 Rear and Front camera megapixel? As far the camera concerned as like other LG V series phones the V30 also packed with dual camera configuration to get a DSLR like depth-of-field bokeh effect. The rear side has Dual 16 MP + 13 MP. The aperture of the 16MP sensor is f/1.6, 1 µm with 3-axis OIS and PDAF while the other sensor which 13Mp is of f/1.9, and doesn’t support AF. Few quick features of the LG V30 rear camera are phase-detection & laser autofocus, LED flash, touch focus, geo-tagging, HDR, Panorama. The rear camera can record 4K at 30fps videos and othe resolutions such as 1080p at 30/60fps, and 720p at 120fps. If we talk about the front camera, it is 5 MP with aperture f/2.2, 1/5″, 1.12 µm and comes without any flashlight. What is the Android version of LG V30+? It runs on the Android 7.1.2 (Nougat) as the base operating system and on top of that, it has a customized layer of LG UX 6.0+. 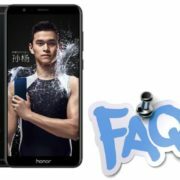 Is the phone is water and dust resistant? Yes, the V30 is water and dust resistant phone with a rating of IP68 which means it is dust/waterproof over 1.5 meter and 30 minutes. Where is the fingerprint sensor of LG V30 located? The Fingerprint sensor is located as usual we find on LG’ phones which is backside below the rear camera of the smartphone. What type of sensors available in LG V30? 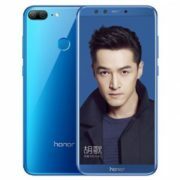 The phone offers multiple sensors such as Accelerometer, Gyroscope, Proximity, Compass, Barometer, Fingerprint sensor and color spectrum to capture the wide range of colors in the photography. Which processor, chipset, and GPU used by the LG V30? The phone runs on the Qualcomm MSM8998 Snapdragon 835 SOC which has Octa-core CPU –4×2.45 GHz & 4×1.9 GHz Kryo. For gaming, the GPU used is Adreno 540. Does the LG V30 support USB OTG? Yes, it supports the USB OTG and has Type-C port 3.1V for charging. Is the fast charging is available in LG V30? Yes, the phone has fast battery charging support and it uses the Quick charge 3.0 technology that can give you 50% of charging in 36 min. Does the LGV30 support the Wireless charging? Yes, it supports the Wireless charging. What is LG V30 battery capacity? The battery capacity of this Android smartphone is 3300 mAh and it no-removable Lithium-Ion. It available in two colors: Aurora Black and Cloud Silver. What is the price of LG V30 or LG V30+? The price of LG V30+ and LG V30 is different. 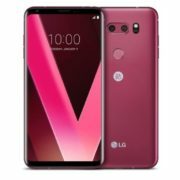 The price of LG V30 in the US is $800 and in India approx. INR 51,644. About the LG V30+ then you would get it in India at around INR 54,871 and in the US at $850.